Pay Offer for 2017 is "best that can be achieved through negotiation"
The final pay offer gives extra increases to the lower paid, between 2.4% and 1.7% up to pay point 16. All staff above point 16 will receive 1.7%. The lowest pay point (spinal column point 2) will receive the highest increase, which will equate to the living wage rate of £8.45 an hour for those working a 35-hour working week. Joint work between the employers and the trade unions on the gender pay gap and zero-hour contracts will continue. 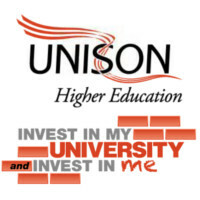 The service group executive’s view on the offer is that it is the best to be achieved by negotiation and that if members vote to reject the offer, sustained and prolonged industrial action will be required. Members will be consulted on the offer from 19 May to 30 June 2017. The service group executive will consider the outcome of the consultation at its meeting on 5 July 2017.